SB 795 passed in Michigan on 12/18/14. This is an amendment to Michigan’s "Natural Resources and Environmental Protection Act" which passed in 1994. The Act is intended to protect the environment and natural resources of the state. This includes preventing invasive animal and plant species from becoming established. 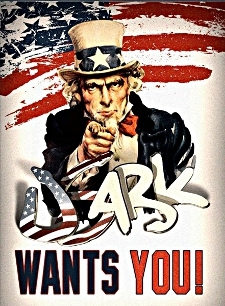 USARK will provide updates as they become available. The full bill can be read at www.usark.org/wp-content/uploads/2014/12/2014_MI_S.B._795-numbered.pdf. Text that is capitalized in bold is new language. Text with a strikethrough (strikethrough) has been deleted or replaced. Current law regarding prohibited and restricted species can be found at www.legislature.mi.gov/(S(brw3y4554cagkv4554a24a45))/documents/mcl/pdf/mcl-451-1994-iii-2-1-wildlife-conservation-413.pdf. This bill intends to create a “white list” of species that will be allowed for open trade in the state. The white list will be finalized within 2 years after the effective date. All non-native species that have been in lawful commercial trade for at least 5 years without evidence of being invasive or harmful to humans in Michigan will be approved for the white list. The Department of Natural Resources (DNR) will consult with affected industries to verify which animal species qualify for the white list within one year of the effective date. DNR may also conduct risk assessments to list species as permitted (allowed), restricted or prohibited. There will be separate prohibited and restricted lists for species that demonstrate invasive potential. And effective management control techniques ARE NOT available. And effective management control techniques ARE available. The Commission of Agricultural Development and Department of Agriculture and Rural Development will establish lists regarding plants and insects (other than wigglers).